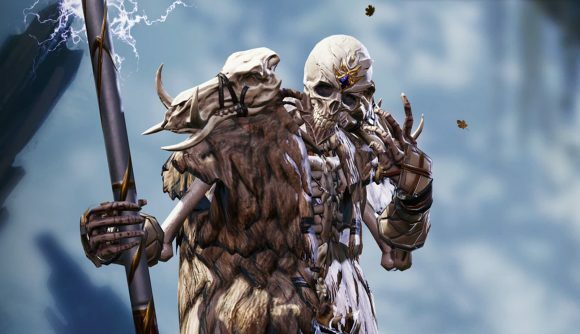 Creating a bigger, better story that showed off their game’s reactive world was one of the main goals for the developers of Divinity: Original Sin 2. Larian hired a team of nine writers to create it, thinking that would be plenty to tackle the task. But between writing and scripting, Original Sin 2’s main story wasn’t complete until just ten months before the game shipped. Larian founder Swen Vincke talked about the making of Divinity: Original Sin 2 to an audience of developers at GDC today in San Francisco. He explained how the team expanded to four studios around the globe in the ramp up to production on the game, and how the monumental writing task they had set out for themselves created a host of knock-on problems for the rest of the development team. In addition to the sprawling main story, Larian decided to create origin stories for each of the key characters you can play in the game. In Divinity: Original Sin 2, you can have four characters in your party, and each has an origin. If you don’t include one of these characters in your party, you’ll still encounter them in the world – and that means their stories and origins had to be told in both first- and third-person perspectives. When work began on the story script, Larian relied on shared Google docs that gave everyone access to the text and the ability to make notes. Vincke said this, perhaps predictably, resulted in total chaos. Not only that, he said, but most of the nine writers who were actually hired to create the story – while accomplished in fields like TV and traditional narrative – didn’t have experience in interactive dialogue writing. They wound up needing training in order to adapt to games writing. Finally, since Divinity: Original Sin 2 wasn’t going to use any ‘story armour’ to protect important NPCs from death, the story had to continue to work even if players decided to kill quest-givers or other important characters. The story stayed in flux, causing headaches for everyone involved in the production. “Every single time we changed the story, those changes had to propagate out into the documentation, and that caused a lot of problems,” Vincke said. Even after finishing the main story, Larian’s writers were still making changes. One character, Sybel, still had changes being made to her origin story just a week before the game finally launched. In the end, Vincke said, the highly iterative approach to creating Divinity: Original Sin 2 proved worth the efforts and heated discussions. The game scored well in reviews and sold well, even after a rough launch week. “It’s a testament to the fact that all that iteration, and a refusal to compromise on quality, paid off,” Vincke said.